That is how Timi Gerson of the American Jewish World Service (AJWS), closed the House of Representatives policy briefing organized by the Jewish Working Group for a Just Farm Bill. I was privileged to watch this briefing in action. The panelists, Barbara Weinstein of the Religious Action Center of Reform Judaism (the RAC); Josh Protas of the Jewish Council for Public Affairs (JCPA); Mia Hubbard of MAZON: A Jewish Response to Hunger; and Timi Gerson of AJWS, had addressed an audience earlier that day in the one of the Senate conference rooms: a spacious, red-carpeted room bedecked with large portraits of senators past and present. This second briefing was in a smaller, more intimate room, not substantially different from the Multi-Purpose Room of my childhood synagogue in suburban New Jersey. The message was equally clear in both settings: “We, as representatives of the American Jewish community, want a just Farm Bill, and we are concerned that we might not get it.” Mia addressed the reason: “MAZON … has worked on a lot of Farm Bills. But this one is different.” The difference? A slow economic recovery and a government focused on deficit reduction—hefty challenges in a time of great need. But Mia also noted one positive answer to “Why is this [Farm Bill] fight different from all other [Farm Bill] fights?” For the first time, the newly convened Jewish Working Group for a Just Farm Bill has brought a unified American Jewish voice to food justice, an issue that has energized many American Jews in a new way this year. If there is one thing I learned from visiting Capitol Hill, it is that constituents’ voices matter a great deal. If you haven’t signed the Jewish Petition for a Just Farm Bill, please wait no longer. If you haven’t encouraged your friends to sign the petition, please do. Before Purim or Passover, email your Senator or district representative —or better yet, schedule an in-district meeting— to emphasize that you care about fighting hunger domestically and internationally. Talk about your Hunger Seder or your Global Hunger Shabbat. Tell them you are representing yourself and the rest of the American Jewish community, a community that desperately wants to eradicate hunger worldwide. Tell them our government can take measurable steps to make this a reality— if only there were the political will. The message of the Jewish Working Group for a Just Farm Bill is that from all corners of the country, we can work together as a Jewish community with one voice. Let’s exercise responsible citizenship in this season of feasts. It just makes Jewish sense. 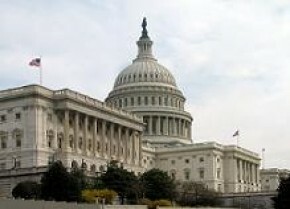 The Jewish Working Group for a Just Farm Bill includes representatives from American Jewish World Service (AJWS), the Coalition on the Environment and Jewish Life (COEJL), Hazon, the Jewish Council for Public Affairs (JCPA), MAZON: A Jewish Response to Hunger and the Union for Reform Judaism (URJ). Ilan Caplan is a Program Associate at American Jewish World Service.